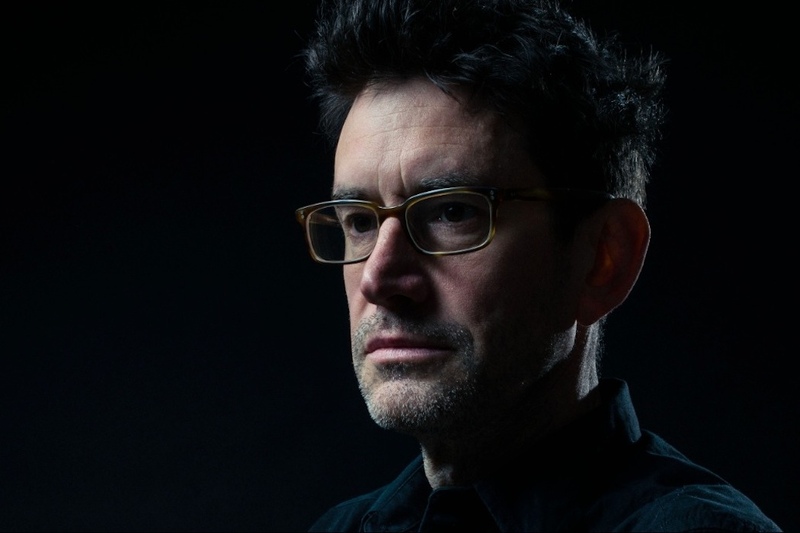 To the film world, Swiss-born composer and cellist Martin Tillman needs little introduction. 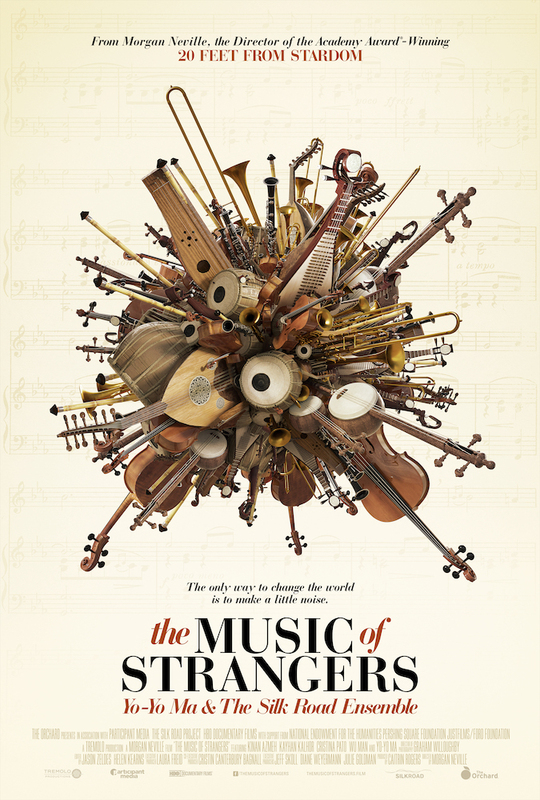 He is one of the most sough-after acoustic and electric cellists who has pushed the boundaries of the instrument and has composed or performed with his distinctive style for over 100 feature films. 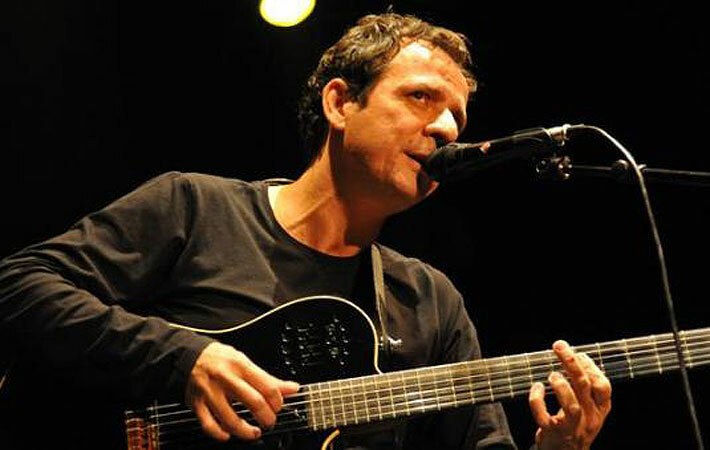 While his cinematic ventures can be heard on films such as Black Hawk Down, Pirates of The Caribbean, The Dark Knight, Ali, Mission Impossible, The Da Vinci Code, and The Pledge, among countless others, he has also had an illustrious career recording or performing with Elton John, BB King, Tracey Chapman, The Indigo Girls, Beck, Sting, Air Supply, Alison Krause, Elvis Costello, and T-Bone Burnett, to name a few. While these have all been deeply enriching experiences, Tillman’s heart is into creating and performing his own music. His previous projects include Eastern Twin and Cinematic Volunteer composed and produced by himself and Tom Vedvik, The Poet and Afterglow which are collaborative projects with poet Michael Hoppe, and his 2004 solo acoustic album A Year in Zurich on which he performs both cello and piano. 2016 saw the release of his latest work, the lush, electronic and orchestral beat-driven album, Superhuman. The work is dedicated to Tillman’s wife Eva, who eight years ago was diagnosed with multiple sclerosis and whose indomitable spirit to live with this degenerative disease inspired Tillman to compose the album. 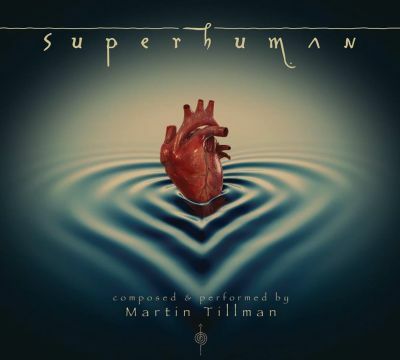 Though born out of desperate circumstances, Superhuman is an album of uplifting music, richly layered, and beautifully performed. It is a conceptual project with eleven tracks ranging from electronic dance music (a medium which he greatly enjoys if done well and with taste), to rock, and cinematic. Evocative, at times epic, it is strong in invoking a whole spectrum of emotions. Sitting in his Mar Vista home studio in Los Angeles, Martin and I spoke about the making of the album and his approach to composing. YSR: The last album I heard by you “A Year in Zurich,” was an acoustic album on which you played both cello and piano. Superhuman is a very different album with twelve years in between. When was its seed planted, how did it develop and what inspired it? MT: It started six years ago. I was still working with Hans Zimmer and had this feeling that I needed to do a project of my own. My wife was already diagnosed with the early stages of MS. So it was a combination of factors: I wanted to emancipate musically, and I wanted to do something for Eva. She had asked me at the time if I would write her a happy tune. A Year in Zurich was a reflective album of memories, something I needed to do at the time. Strangely enough, our life was happy then, we had just gotten married, we were living in Zurich in a beautiful apartment and I wrote this somber music. Five years forward, we were completely in a different predicament – the shock of Eva’s diagnosis and me wanting to do more live shows. I told her:” I can’t write you a happy tune because I don’t know what it means to write a happy tune.” I had been writing music for films – they are much more dramatic, drama or horror- driven. So I had to force myself to write a happy tune, and that was the beginning of it. And then with that confidence going forward, I decided to do an album which had everything I had always wanted to do, which is my love for different styles of music. So I just started writing and I also knew it had to be big. I already knew this had to be an album I could perform live. So from the get-go, I closed my eyes before I started writing in the mornings and imagined that I would be on stage at the Hollywood Bowl, and I just wrote and wrote and wrote, and eventually started doing little house concerts here in my studio in front of six, seven people and found out that they really liked my music – sometimes they gave me suggestions – so yeah – it sort of came very organically, but it was a project which took many years because it was a style I had not discovered on my own so I needed to discover a lot while I was writing and performing, and I did it all on my own. Looking back it was a phenomenal time. I also believe it helped me and Eva cope with the predicament we were in at the time, and still are. It was all about being positive. YSR: Given the circumstances, you could have also made a dark and brooding album. Yet despite some melancholy elements at times, it maintains its uplifting energy. MT: I made a deliberate choice to make every piece of music go up and not down. If there is any somberness or melancholy in it, it is just the way my system works. But it had to be hopeful at any given moment – I didn’t want it to be sad. That is why I don’t overplay the cello although cello is my voice. I felt if the cello were predominant, it might make it a bit sad. So consciously I made sure that the cello is part of a cameo performance and part of the sound but it is not an instrument that you remember. I wanted the melodies and the energy of the music to be remembered. YSR: Which track did you compose first and did you compose the music on keyboards or the cello? MT: The first track I composed was Notes Towards The Universe. I composed everything on the keyboard. YSR: It seems like this album not only celebrates the inner beauty and courage of your wife Eva, but also your own spirit to rise above the circumstances. But it also has a universal quality to it, and I think that is the beauty of music which can be as much personal as universal. MT: Yes. In fact I offered the CD to fifty people on a first come first serve basis on Facebook. And hundreds of people sent their addresses from Europe, Hong Kong, Nairobi, Russia… I sent the CD to the first 50 people who had responded and the first person took a picture of the CD cover on their table and posted it on Facebook. Then the next person started doing that and it had a domino effect and it kind of went viral in a small way. I had no idea if it would be well received and thought that maybe only my LA friends would relate to it because tastes are different, but people from around the world were receptive and open. YSR: All your works have strong melodic and emotional components, and even a visual quality. What is for you the anchor of a composition? Is it melody, is it rhythm? How do you approach a piece? MT: It starts with how I feel on a given day. I can’t just sit down and write. It has to do with what I am doing on that day, maybe a non-musical event, a walk by the beach, a conversation of some sort with Eva. That translates into an energy. Sometimes I just start with a drum groove or a piano melody. One of my friends suggested that I add human voices on a couple of tracks (“Involuntary Midnights” and “Celluloid Spaces”) as a human connection to the album. Something about the voice, even if it is part of the sound or coloring, enables people to relate. I heard Anonymous Four on the radio singing this medieval tune from their album Legends of St. Nicholas, and I was struck by the beauty of it. I decided to use it on “Involuntary Midnights”. I cut the a cappella lines into six or seven pieces and I cut the syllables to fit into the rhythm of my track. I also added EDM and Middle Eastern elements to it. YSR: You have an impressive list of guest musicians on Superhuman. Besides performing on the album, did they bring any of their own ideas into the arrangements? MT: Oh yes, the musicians brought a lot to the arrangements. Each person’s contribution was extremely valuable. Leland Sklar’s bass lines were different from what I had originally written and was married to. He changed and made them substantially better. It was almost like allowing a bottle of wine to breathe. Same with Michael Landau who came up with this Keith Richard style guitar feel on “Unlocking the Locks,” and saved a track which I felt had no depth and was going to trash, but he connected the dots. Same thing with David Paich, Toto’s keyboardist, who in his amazing studio added Hammond organ, Prophet 5, electric piano and re-harmonized some of my parts. To me, that is the most magical thing and sadly it is not happening much because of budget reasons and not being able to afford studio musicians. But some of these musicians have over 40 years of music experience and have played with the most influential people of the century and this is the last guard of those players. Once they are gone, there is no one alike. I wanted to have the best of the best to create something timeless, rich and layered. The tracks with orchestra were recorded by The City of Prague Philharmonic Orchestra while I was sitting in my studio in LA. I could hear them in pristine quality and we communicated via Skype, so that while they were playing, I could give the conductor my ideas and directions. YSR: I can hear a brief nod to Pink Floyd on one track, namely “Celluloid Spaces.” Have you been influenced by them? MT: Definitely. My strongest influences have been Peter Gabriel, especially his soundtrack Passion for the film The Last Temptation of Christ, U2 and Police. I got into Pink Floyd a little later but revisiting Pink Floyd made me think of making Superhuman into a conceptual album like a movie with a story and the possibility to do a live show. YSR: Did you share the various stages of Superhuman’s coming to life with Eva or did you surprise her with the final outcome? MT: Eva was very much involved. I would receive frequent text messages from her while working in my studio. She could hear the music from her office if I left the studio door a little open. So while I would be convinced that my track was fantastic, she would text: “Way too sad,” or “Now you’ve done nothing to it except you made it worse,” or “I love it.” She was very straightforward about it. She was part of it, she was co-producing from far! She is the toughest audience because she has an amazing ear. And she would put no filters just because I am her husband. She would tell me straight out. So I would go back to my studio and rework the piece. YSR: You have worked on many soundtracks and have collaborated with many musicians. What are some of those memorable times? 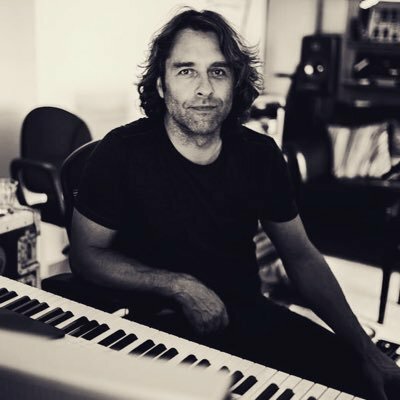 MT: I really enjoyed doing film music for Harry Gregson-Williams. He has the greatest ideas musically. Some memorable moments were working on Black Hawk Down, The Dark Knight, and Jack Sparrow’s theme from Pirates of the Caribbean for Hans Zimmer. Looking back, I had a lot of fun and good experiences. But at the end, what’s most important is the human interaction while doing it. My experience with BB King was amazing! I had no idea what to expect and felt over-confident. And then realized: here we are, five musicians and pretty much one take. It was the scariest and yet most rewarding experience musically. He was the most modest musician I have ever met by far – the way he shared food with us, the way he talked about life… And the most incredible show was at Madison Square Gardens with Elton John for his 60th birthday and being on stage with the president, major actors, and musicians. Martin Tillman’s core performing live band features cello, guitar, bass, piano and drums. He is dedicating the next few years to making Superhuman into a fun live show, formatting it to suit many venues, including performing with symphony orchestras. And here are a few tracks from Superhuman for your listening pleasure with kind permission of the artist.